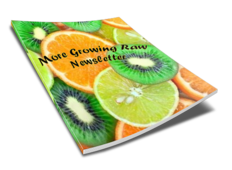 Raw food travel is a challenge that can be met with careful planning. Investigate what's available at your destination and pack a clever selection of these healthy travel snacks and raw condiments. Maintaining healthy eating habits can be challenging enough when you are in your home town. At home you have access to an abundance of options from your favorite farmer's market and local health food stores, not to mention the many convenient tools of your kitchen. But what happens when you hit the road, let alone travel to a culture that may not offer much support in the way of a raw food travel diet? With some advanced planning and a lot of commitment, maintaining a raw food diet while traveling can not only be done, but can help you to feel your absolute best throughout your trip. What’s Available at Your Destination? The first place to start is to know exactly what type of situation you will be getting yourself into. Look online to see if you can find out if there will be a food co-op or vegetarian restaurants in the area. If there is a natural foods store where you are going, it should be your first stop for more information. The employees there can often give you insider information about amazing hole-in-the-wall places that might cater to raw foodies. Don’t be shy about asking for special raw food requests at restaurants. Oftentimes, the chef gets bored by making the same things day in and day out, and will appreciate the challenge of coming up with something new for you. Most restaurants have all sorts of vegetables, spices, and olive oil on hand, so at the very least a creative salad is a possibility. If you are driving and will end up at a hotel, it may be worth it to take along your blender. It really does not take up that much space, and you can then make smoothies for breakfast or a snack. You can easily make hearty hummus or nut pate spreads. If you are flying, you may not have the luxury of being able to pack many additional items, but allocate space for some basics that can make maintaining a healthy diet easier. Great protein sources that pack well include walnuts, almond butter, granola and raw food bars. You may want to pack some roasted sunflower seeds or quinoa seed sprouts so you can turn even the most basic and boring restaurant salad into a more complete and interesting meal. Hulled hemp seed does not need soaking before you eat it, and provides you with an excellent source of raw protein and healthy fats. Cocoa nibs are a great pick-me-up snack and are easy to keep in your pocket or bag. Something simple such as a small vial of Himalayan sea salt or travel packets of honey are easy to throw into your bag. Simple details such as these can help you stay on track with healthier eating habits rather than consuming iodised table salt or white sugar. It may be tempting to pack or buy things that will not go bad quickly, such as dehydrated crackers with seeds or dried fruit. But be aware that traveling naturally dehydrates you, so too many of these dried snacks will just compound the issue. Speaking of dehydration, water is one of the most important things to remember to consume while traveling. Even the most devoted water drinker can forget to get their daily allotment while on the go. Make sure to carry water with you wherever you go, and if the local water will be a concern, think about bringing along a portable water purifier. For a quick and easy super-charged drink, add some blue green algae powder, a teaspoon or two of bee pollen and a little honey to some water. If you have a choice about where you will be traveling, try to pick a place that will allow you to explore and fully enjoy the local food. Many cultures are very heavily vegetarian, and you will have a multitude of options to enjoy. Areas with hotter climates tend to consume more cleansing and refreshing raw foods than people in harsher cold climates do. India, Thailand, Singapore and Japan are comparatively easy places to maintain a raw food diet. Most countries in Europe tend to offer you great access to local markets where you can stock up on nuts and fresh produce. Be careful when traveling to know about specific bacterial dangers with vegetables or fruits in that area before you start consuming a lot of produce. A well-intentioned breakfast of a pile of delicious exotic fruit may easily turn into a memorable yet miserable vacation of stomach issues. Make sure to peel all fruits and veggies if bacteria may be a concern. Raw food diets are becoming more and more popular, and the travel sector has taken notice. With a little effort, you can find bed and breakfasts that cater to raw foodies, or cruise ships that specialise in offering healthy vegetarian or raw food at times. Another great form of travel, instead of staying at a hotel, is to do free home stays with locals through websites such as Hospitality Club or Couchsurfing. You can search out hosts that may have similar eating habits, and nothing is better than connecting with a new friend over great home cooked meals. Just because you are traveling does not mean that all of your healthy eating habits need to be put on hold until you return. The great part about traveling is that you may even discover new favourite foods to incorporate into your diet. With a little determination, you can find healthy food choices all over the world. Take the time to be as prepared and realistic as possible about the situation you are getting into, plan accordingly with your packing, be willing to learn and adapt to your new environment, and most importantly of all, relax and enjoy your trip. A vacation spent obsessing and worrying over food defeats the purpose of a vacation! Do the best you can with what you have food-wise, and don’t forget that the adventure of travel in itself is a form of nurturing your body, mind, and spirit!